Extensive Supports to Recover corrupted Images into CDR file itself. Supports CorelDraw versions x8, x7, x6, x5 & x4. The cdr repair tool has enhanced features to precisely preview the scanned cdr files which are corrupted due to multiple reasons. The software allows organizing the data on the basis of date and size of the cdr files. The CDR recovery software also performs the operations to repair damaged cdr file in bulk at a time. By using this functionality user can efficiently repair and recover data from corrupted cdr file. After completion of the recovery process of cdr file, the software allows exporting recovered data into cdr file itself. The CDR Recovery software is so flexible and smart to recover cdr file of any size limit. 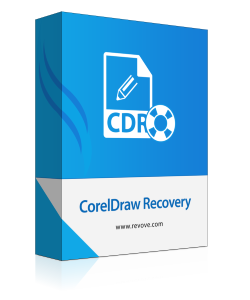 There is no restriction on the cdr file to repair and recover using the CorelDraw recovery software. The software maintains an integrity of cdr file same as the original file. The Software provides the enhanced features to precisely preview the content of cdr file according to ease. The cdr recovery tool has the inbuilt sliding bar to adjust the size of cdr images and then successfully export into cdr file format itself. The CorelDraw cdr recovery software is compatible with CorelDRAW x4, x5, x6, x7, x8 and all the later version of it. The software can easily be installed on all the versions of Windows Operating system such as Windows 10.1, 10, 8.1, 8, 7 etc. CorelDraw– Versions x8, x7, x6, x5 & x4. Can I recover permanently deleted cdr files using the software? No, CDR recovery software does not recover permanently deleted cdr files. If you genuinely wants to recover cdr files then you can use Hard Drive Recovery Tool for the same. Does the software maintains the data integrity of the cdr images? Yes, The software maintains the data integrity of the cdr images before and after the repair process. Is there any file size limits exists to repair damaged cdr file? Does CorelDRAW Recovery software compatible with Mac OS X also? No, The Coreldraw recovery software only supports Windows Operating system. Due to malicious software, all the files and the directory get corrupted. I fails to recover data of Coreldraw application. This data was so crucial for me then one of my friends has suggested me to use CorelDraw recovery Software to repair and recover data from corrupted cdr file. Then I used the free version of the software and it useful for my problem.Thanks for such nice software. The CDR Repair tool is the outstanding tool to repair damaged cdr file. The GUI of software is so simple and easy to use. The person from the non-technical background can easily recover and repairs their corrupted or damaged CorelDraw files. The tool maintains the internal structure of CDR file effectively. At last, I want to thanks the developer team for such nicely built software.